I am so tired. Happy, but tired. Today we had fantastic weather and loads of visitors. For me there continued to be a constant stream of botanical art interested people. So many to explain to about botanical art and illustration. I wrote this on Sunday and then fell asleep! It was an interesting and rewarding three days which might even have benefits in relation to future work. 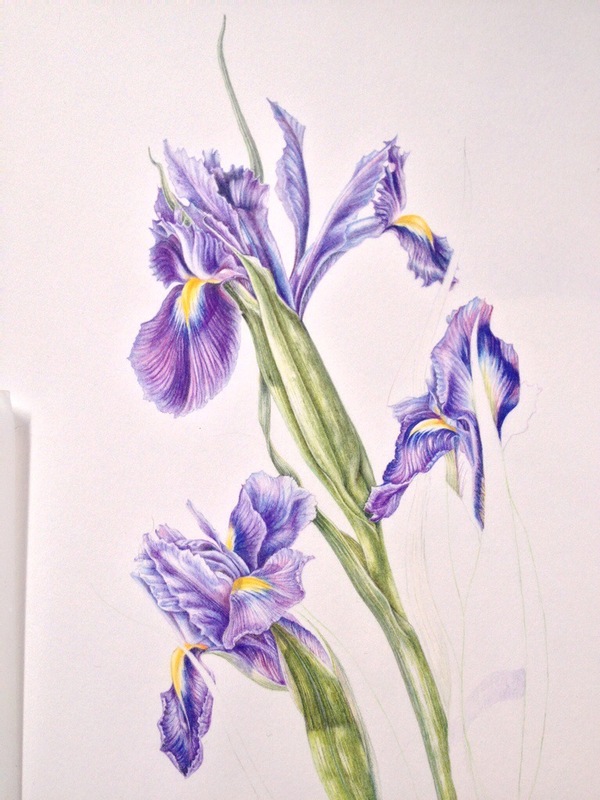 I also managed to get a little done on the Irises picture in coloured pencil. This week has been catching up on paperwork, gardening and more painting as I couldn’t bend any more. But now at least we can see the flowers for the weeds and overgrown Forget-me- nots. Next week I have a three-day workshop called ‘How difficult can Roses be?’. 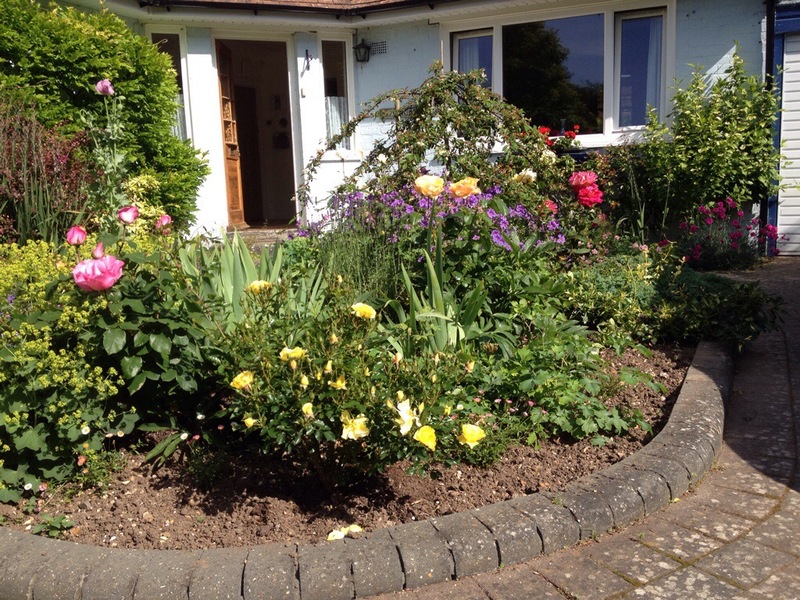 The roses in the garden are now in full bloom smelling beautifully and ready to be painted. Luckily we have all sorts which will allow people of varying abilities and experience to get a good result. But it is now only two weeks until my husband and I travel to Norway in preparation for the workshop there. Thank you Jane. But my back doesn’t feel beautiful even now. Good excuse to sit and paint!